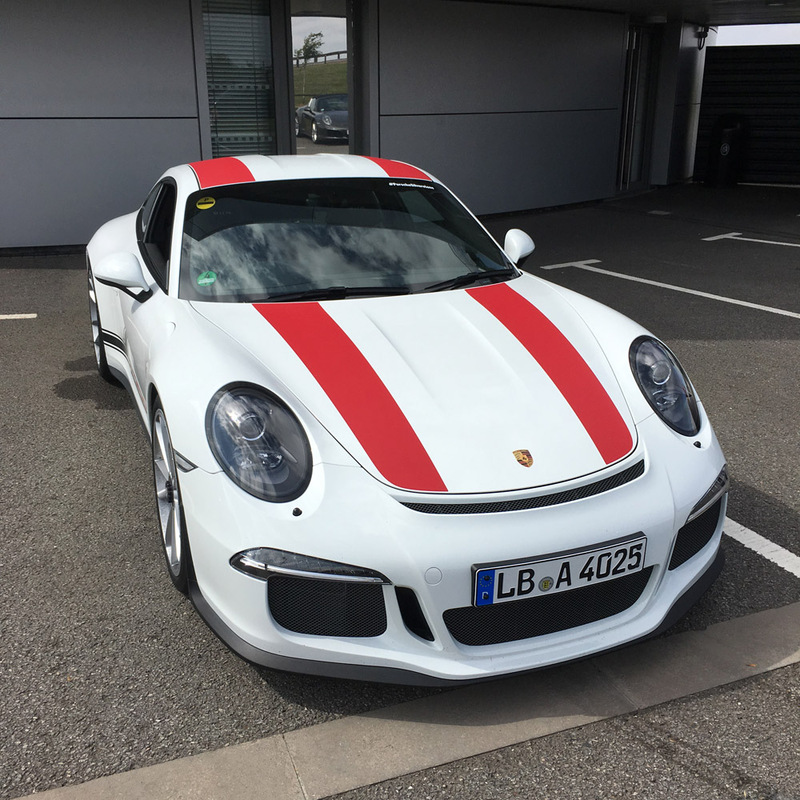 Like a kid waiting with little patience in the lead up to Christmas; I’ve been counting down the days, hours and minutes to the arrival of my 2016 Porsche 911R. Due towards the end of September, it’s now less than a month before it’s build completion date. A few years ago, to help ease the frustration of having to wait for their new cars to arrive, Porsche introduced the Porsche Experience program for customers. Giving eager buyers the chance to push a car similar to their chosen vehicle on the safer confines of a test track, under the watchful eye of an instructor. 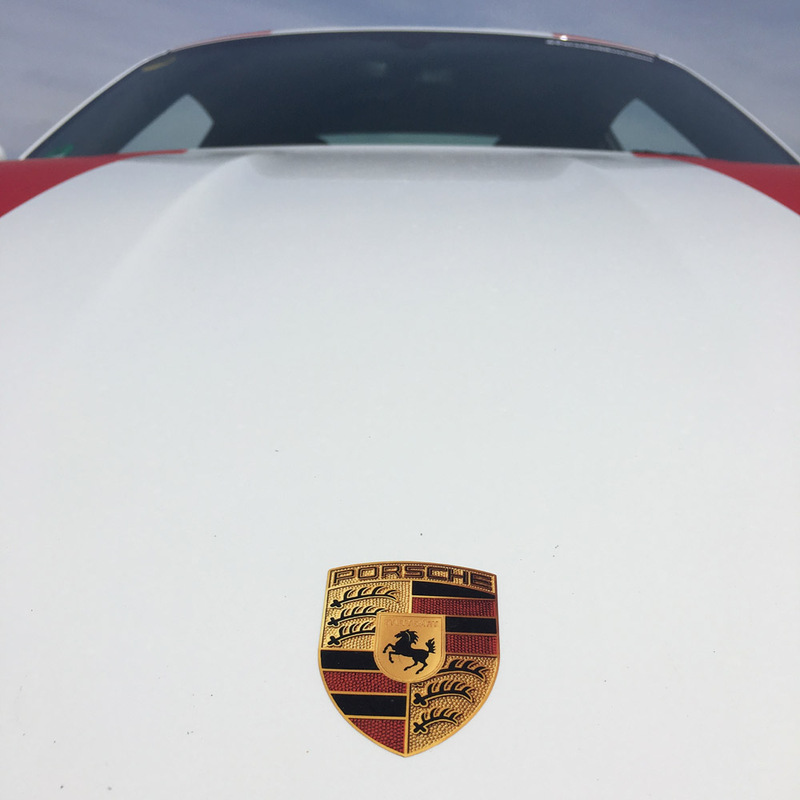 It’s a fantastic opportunity for Porsche to really demonstrate just what these awesome cars are capable of. Experience with a capital ‘E’. 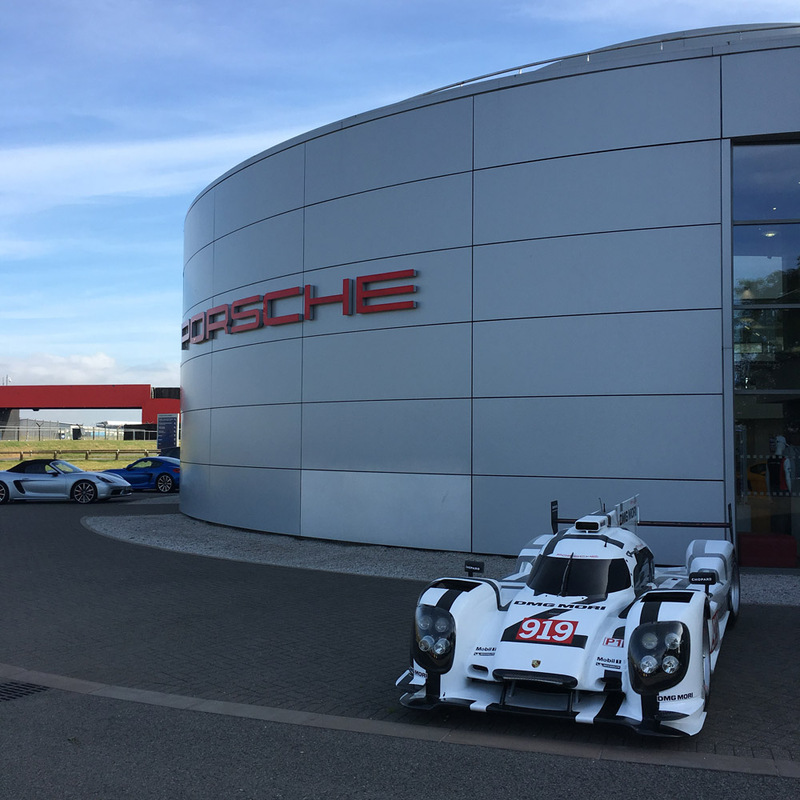 Arriving at Silverstone for a 9am start at the Porsche Experience Centre, I was immediately welcomed by the team. 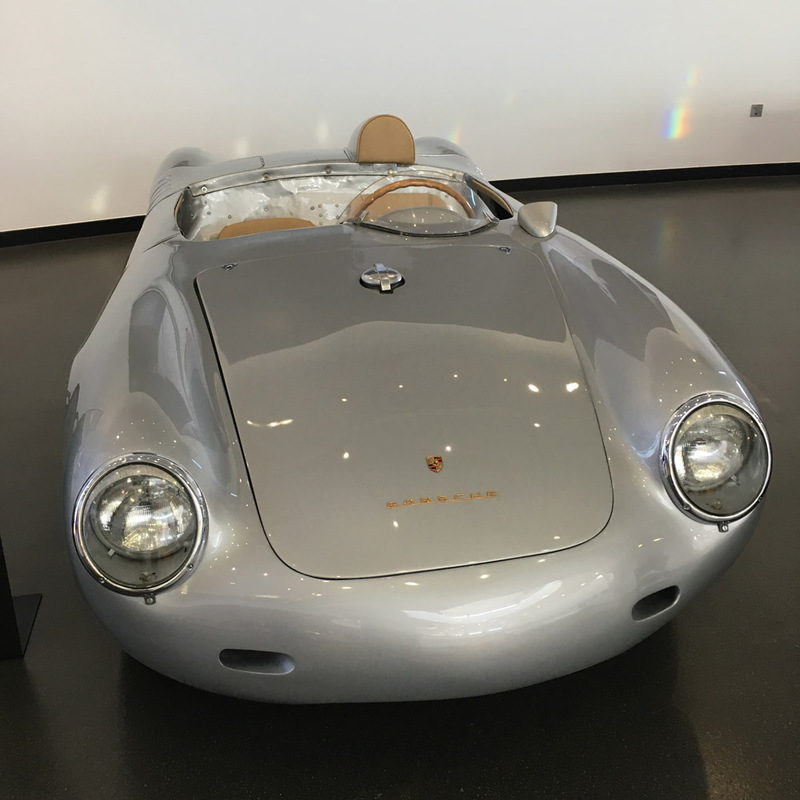 Getting briefly distracted by the beautiful 550A Spyder, I was met by Rob Newell, my designated instructor for the day. The first order of business was breakfast, giving a great opportunity to get to know Rob a little better and for him to understand what I wanted to achieve during the day. 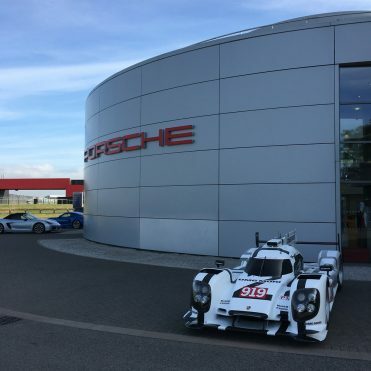 It’s also a chance to enjoy the other side of the ‘experience’, Porsche really understand putting on great hospitality. The food is always superb. What did I want to achieve during the day? Driving. I wanted as much time behind the wheel as possible. 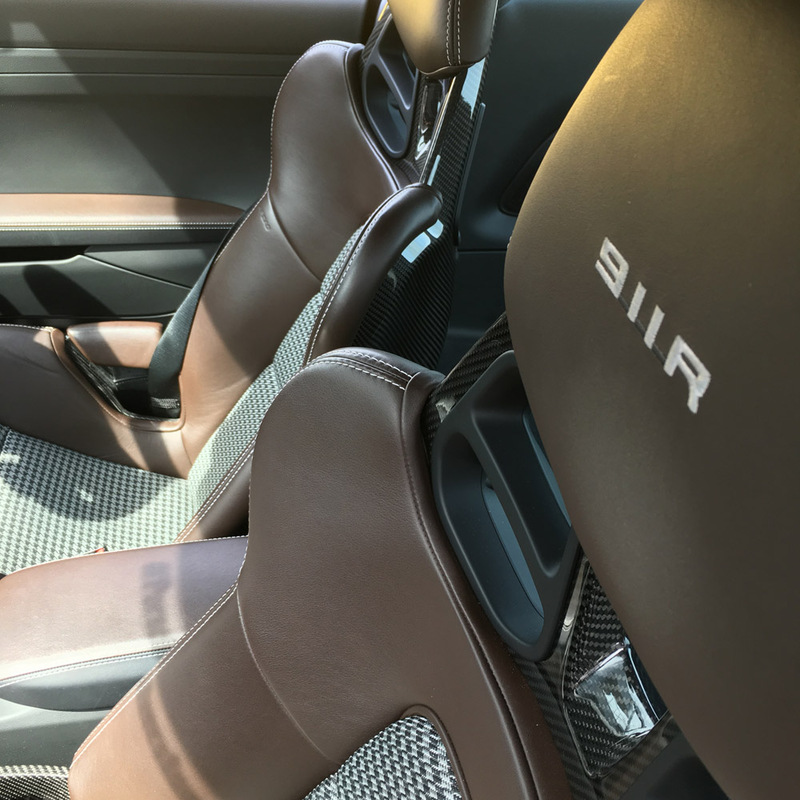 The first thing that strikes you when stepping into the 911R is the simplicity. 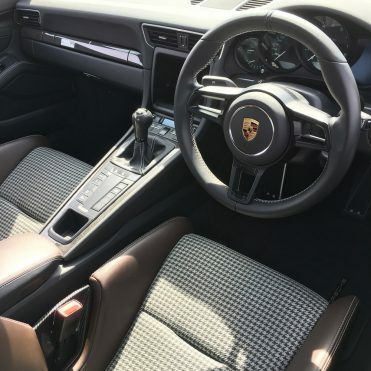 Naturally, it’s the same familiar space of a 991, but there is just less going on. 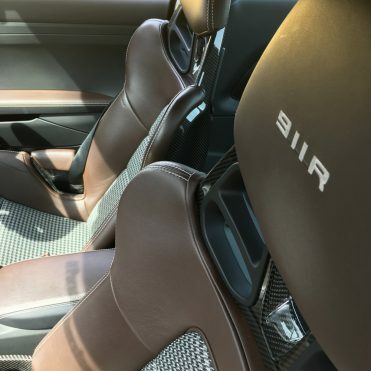 No buttons on the wheel, no PCM and no 18-way adjustable seats. Settling down in to carbon bucket seats covered with retro cool hounds tooth fabric, you notice other subtle nods to the original ’67 R. One of my favourite touches is the green numerals and dials that hark back to the classic 911 VDO instruments. 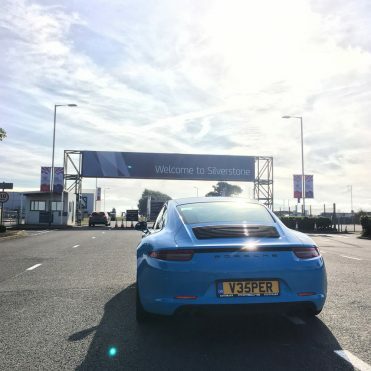 It’s worth noting the ‘Porsche Experience Silverstone’ test track is built to feel like a British ‘B’ road, rather than a racetrack. There are no red and white curbs, no track day turn in cones. It even has a dashed centre line to enhance the impression. A perfect, if a little compact, setting to test out a car built specifically by the GT division for the road. 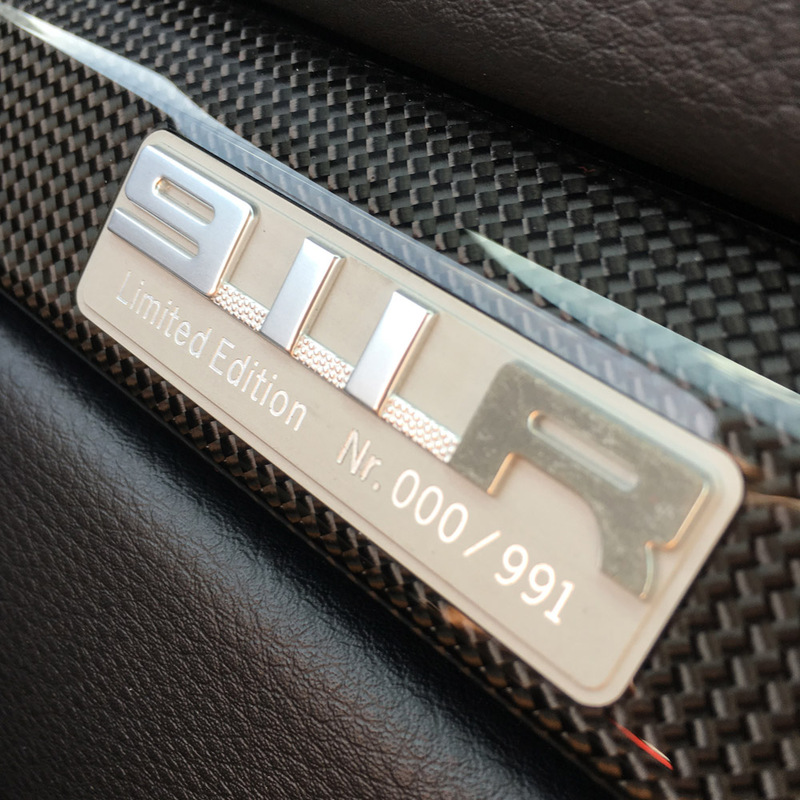 A turn of the key brings the 4.0 litre, 500Bhp motor to life with a sharp rasp. It means business. Taking a moment, you notice everything is a little louder. The single mass flywheel chattering away, it’s apparent, but actually subtler than I was expecting. Not too much, not too little; perfectly pitched. Slotting the lever into first, the reduced weight is noticeable as the car starts to roll. It makes everything feel a little more responsive, a little quicker on the uptake. It also has a knock on effect on other elements of the car. The suspension is supple, but not soft. 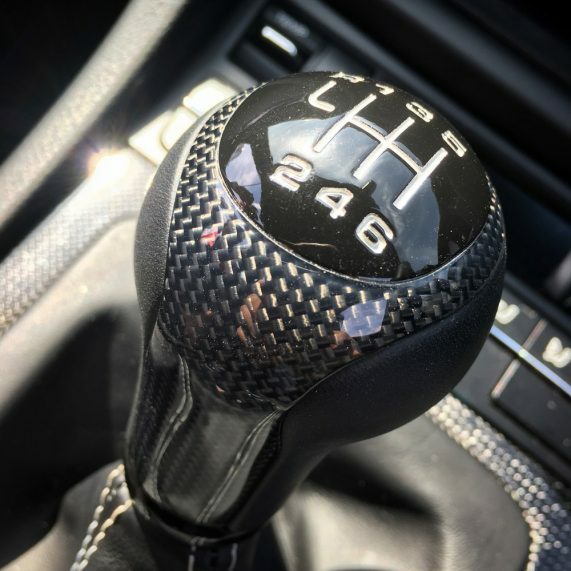 More compliant than a GT3 RS, but far more composed than a GTS. With the GTS, as with other models in the ‘road’ 911 range, there is a slight ‘bob’ to the ride over undulating or bumpy surfaces at speed. In the RS, the same sections of road would be harsher, although never ‘crashy’. The car I feel it’s most akin to, suspension wise, is the Noble M12 GTO-3R; a car I’ve always considered to be one of the best British ‘B’ road weapons available. I think it comes down to that saved weight, it allows the suspension to work without having to tame the added inertia from a few extra pounds. 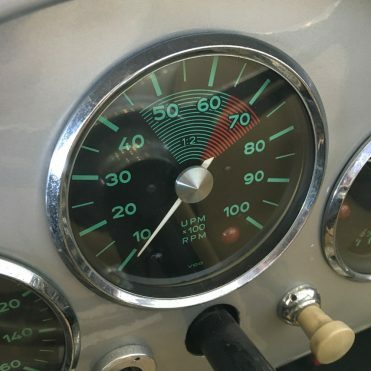 It’s very well judged, providing that running retro theme to the drive. Excellent. Taking a few laps to become accustomed to the car, it didn’t take long to start feeling at home behind the wheel. The four wheel steering, along with the reduced weight, give the impression of a smaller car. Coupled with a very positive turn in, it gave the confidence to precisely use every inch of available tarmac. 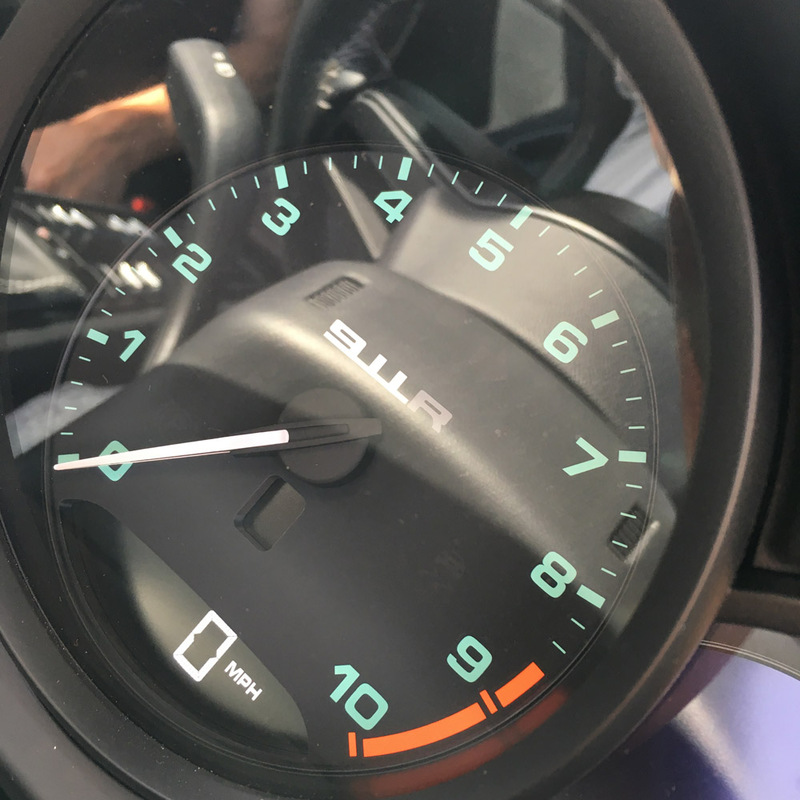 The most crucial element to the 911R is, of course, it’s all new 6-speed gearbox. It is quite simply one of the finest boxes I’ve ever had the pleasure of using. The short throw, precise lever is a joy. Paired with the ideally positioned pedals and the speed of the single mass flywheel; heal and toe becomes effortless. I just can’t wait to work all the way through the box to sixth, once I finally get to drive it on the open road. 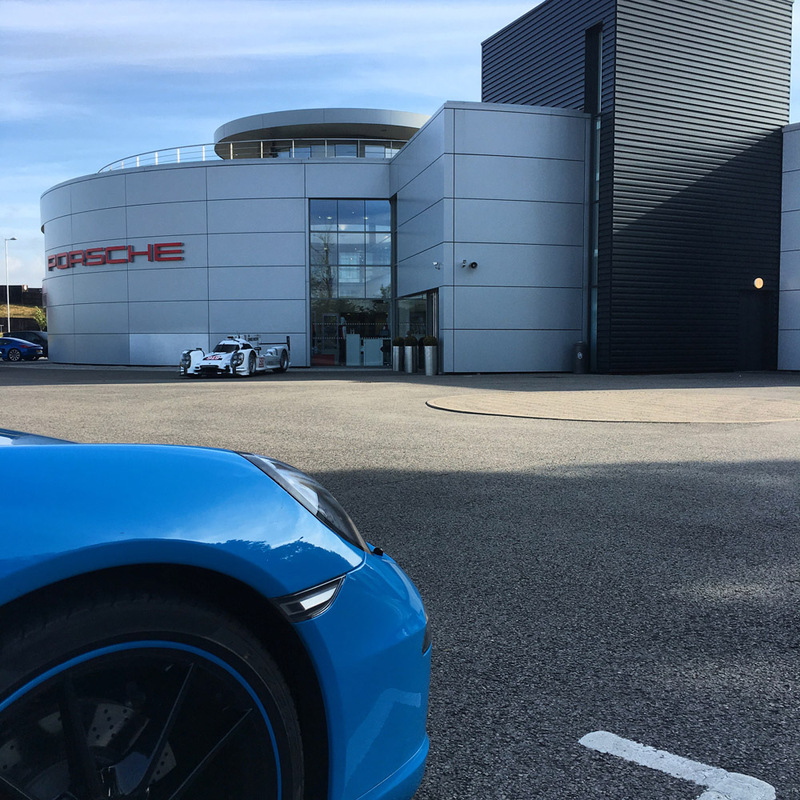 In addition to pounding around the handling circuits, the experience centre offers the opportunity to see just how competent the stability systems are in a Porsche. The ‘Ice Hill’ and ‘Kick Plate’ provide a great platform to push these systems to their limits. But, as today was just about wheel time and fun, switching everything off and just testing my own reactions seemed far more entertaining. After a non-stop (ok, 3 minutes for a swift tea) 2.5 hours, using a full tank of fuel, my time with the ‘R’ had to come to an end. 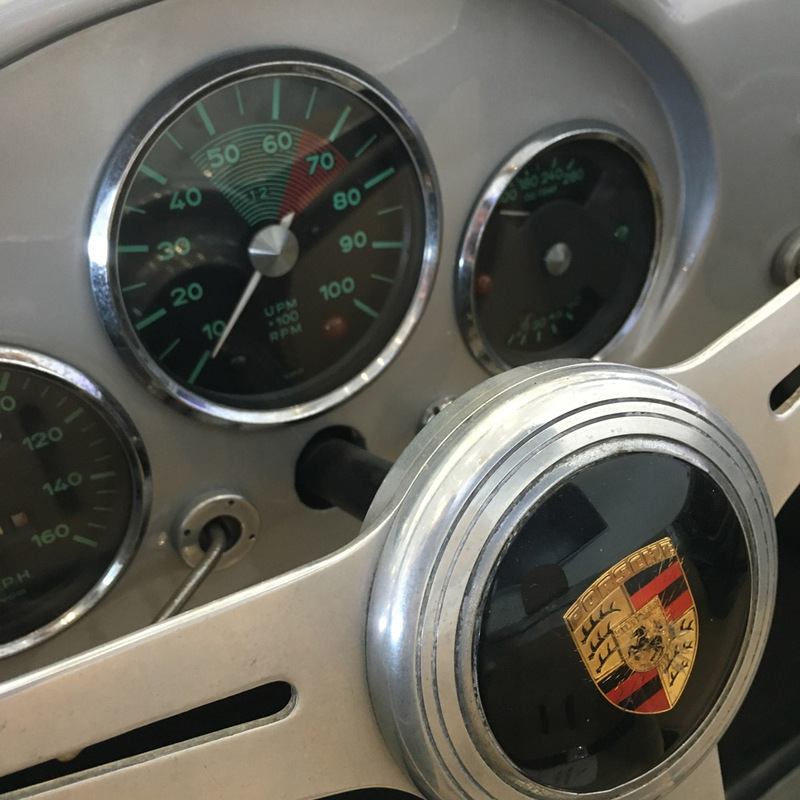 Porsche truly have created an exceptional machine, every element in isolation is very well judged, and together they create something much greater than the sum of its parts. Waiting is going to be worth every long, torturous second. 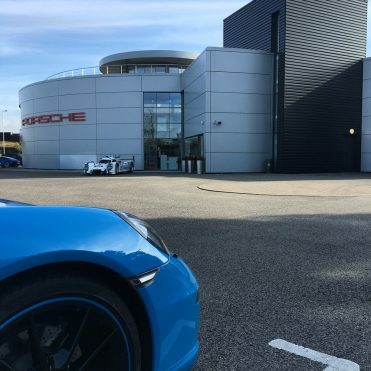 The day my car arrives at Porsche Centre Colchester is going to be very special indeed, I’m an extremely lucky man. Like its predecessor, it’ll be a legend. N.B. Contrary to what I was told on the day, I’ve been informed the PEC car is not fitted with the single mass flywheel, which would explain why it was so quiet.